With the excellent knowledge about the market, our company is considered as the profound manufacturer and supplier ofUniversal Testing Machine. 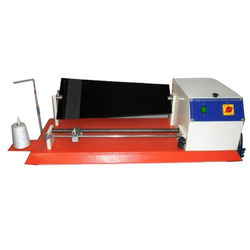 Universal Testing Machine is hydraulically operated, vertical, floor mounted, designed for testing metals and other materials under Tension, Compression, Bending/Transverse Loads & Shear Strength.These machines are manufactured in compliance with the latest technology, by using premium quality raw materials and components. The machine is highly ideal to test strength, constant speed & load, displacement andelongation. To provide a flawless range to the clients, we check theUniversal Testing Machineon certain quality parameters. We are a popular company known for providing Universal Testing Machine to the clients. We are one of the leading manufacturer of Universal Testing Machine. Our Universal Testing Machine are used to determine Tensile and bending strength of any metallic flat, Round TMT Bars, Wire and Wire Ropes. The machine provide tension & compression test .load frame depend on the machine capacity. Middle slide is moving with the help of leading screw and upper slide is stile with help of two pillars. And lower slide up & down with help of hydraulic cylinder to control oil tank, pump and two wall & limit switch to auto stop. One pair grip suitable to metal. Compression plate and bend test attachment. Machine is fine electroplating and hammer tone paint.